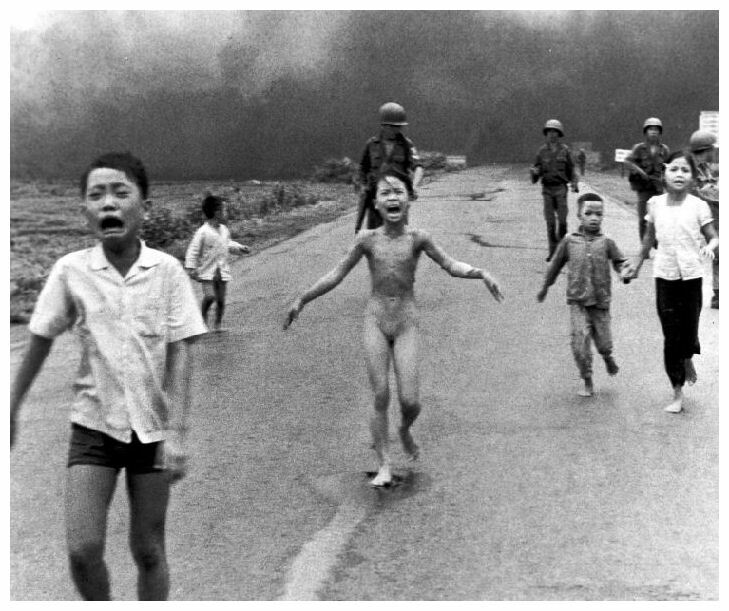 A famous image of nine-year-old Kim Phuc running from a napalm attack. The human and economic costs of the Vietnam War were devastating. In September 1945 Ho Chi Minh stood in Hanoi’s Ba Dinh Square and proclaimed the birth of an independent Vietnam. It would take another 30 years and several million lives before this dream became a reality. The struggle for Vietnam was one of the 20th century’s great human tragedies. Estimates of the number of people killed in Indochina range from two and a half million to more than four million. An even greater number were maimed, disfigured, orphaned, displaced or forced to flee as refugees. The Vietnam War was fought for civilians, by civilians and among civilians – and the majority of casualties were civilians. American planes dropped seven million tons of ordnance – three times the amount they had dropped in World War II – as well as napalm and chemical defoliants. This not only claimed lives, it devastated cities, buildings, infrastructure, farmland and vegetation. Neither this bombing or the ground war was confined by the borders of Vietnam. Neighbouring countries Laos and Cambodia both suffered enormous human loss and material devastation, as well as the rise of terroristic and genocidal regimes. The United States lost almost 60,000 personnel and civilians in Vietnam: 58,269 servicemen were killed and another 1,672 recorded as missing. America was deeply affected by these heavy losses and struggled to understand the meaning, significance and lessons of the Vietnam War. Many Americans simply chose not to speak of the Vietnam conflict, described by diplomat George Kennan as “the most disastrous undertaking” in 200 years of US history. Nevertheless, there was an inevitable wave of justifications, criticisms and retributions. Some declared that Vietnam was a nationalist conflict that Washington had no business intervening in. Its attempts at state-building failed utterly, beginning with its support for the post-war French colonial regime and its flawed choice of Ngo Dinh Diem as leader of South Vietnam, through to its propping up of Nguyen Van Thieu and the South Vietnamese Army (ARVN). Some argued that America’s violence against civilians in Vietnam – from incidental killings to atrocities like My Lai and indiscriminate carpet bombing – made the United States no better than the communist regimes it was seeking to contain. Critics on the political right argued the war had been winnable but was lost by the politicians, who restricted the terms of engagement, refused to authorise more firepower (including the use of tactical nuclear weapons) and left the army short of men and supplies. The defeat in Vietnam, they argued, was a betrayal of the US military by civilian politicians. These debates led to a revisiting of America’s Cold War leadership. Vietnam was the first significant military defeat in US history and would shape American foreign policy for several years. Confidence in the Domino Theory was undermined, if not destroyed; even before the war had ended Richard Nixon publicly declared the end of the Truman Doctrine. Public trust in the United States government was shattered by the Vietnam War and Watergate; it would take years to recover. Global confidence in America as the ‘arsenal of democracy’ also suffered. Washington withdrew significantly from foreign disputes and crises, becoming less interventionist and assertive. It also entered into a period of détente (‘agreement’) with Cold War rivals the Soviet Union and communist China. The practical impact of the Vietnam War on the domestic United States was also profound. Two decades of military intervention and bankrolling friendly regimes cost the United States almost $US170 billion (close to $1 trillion in today’s terms). These war costs stalled some of Lyndon Johnson’s ‘Great Society’ reforms, including anti-poverty measures and improvements to social security. 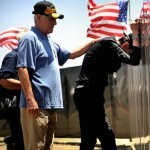 The American soldiers who returned as veterans of the Vietnam War faced their own personal challenges. This started with their homecoming: the men of World War II had been welcomed home with crowds, ticker tape and fanfare – but Vietnam veterans were received with a combination of indifference, embarrassment and contempt. Many were unfairly harassed and abused by anti-war protestors. Though the majority of Vietnam veterans returned home without serious problems, a large number found the readjustment to civilian life difficult. Thousands struggled to find and hold down jobs, form new relationships and keep their marriages intact. Some battled with alcoholism and drug abuse, while many succumbed to suicide (by 2014 almost 100,000 veterans had taken their own lives). 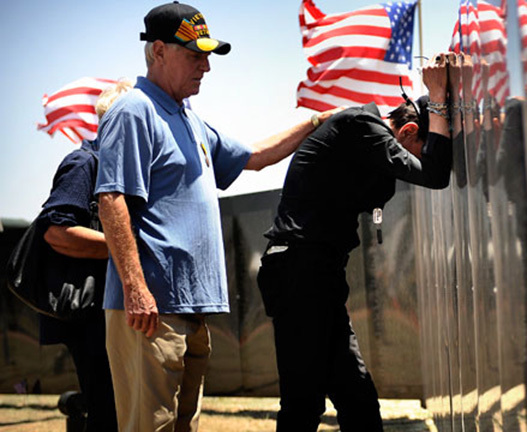 A government survey in 1988 concluded that 479,000 people – just over 15 percent of US service personnel posted to Vietnam – had been diagnosed with Post-Traumatic Stress Disorder (PTSD). The symptoms of PTSD include depression, anxiety, nervousness, sleep deprivation, ‘flashbacks’ and social isolation. Vietnam veterans also had to contend with physical problems, such as the effects of chemical defoliants. An estimated 18 million gallons of defoliant, bearing codenames like Agent Blue and Agent Orange, was dropped by US planes over the course of the Vietnam War. 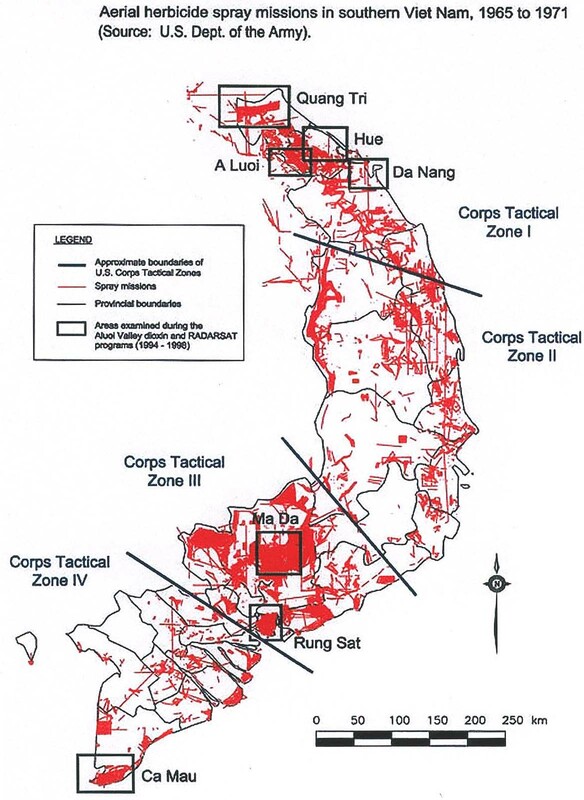 The objectives of defoliant drops were to remove jungle and vegetation cover used by the Viet Cong; to destroy Viet Cong food crops; and to persuade Vietnamese villagers to move away from Viet Cong strongholds and into protected areas, such as ‘Agrovilles’ and strategic hamlets. These defoliants denuded large areas of Vietnam, leaving farmland barren and untouchable for several years. These chemicals also had an insidious impact on people, both Vietnamese civilians and the soldiers of America and its allies. 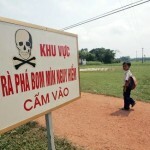 One of the most common defoliants used in Vietnam, Agent Orange, was later found to contain a carcinogenic dioxin. Vietnam veterans in the US, Australia and other countries have suffered from increased rates of cancers and birth defects in their offspring. Though the issue is contentious, these increased rates have been linked to their exposure to Agent Orange. The American death toll in Vietnam is dwarfed by the devastating losses suffered by local people. While the number of American deaths was well documented, neither the South Vietnamese, the North Vietnamese or the NLF (Viet Cong) kept stringent records about personnel or losses. American ‘body counts’ of the enemy were notoriously unreliable and were often little more than ambitious estimates. Thousands of Vietnamese simply vanished, lost in thick jungle or tunnels, obliterated by bombs or incinerated by napalm. Conservative estimates suggest the war claimed around 1.9 million Vietnamese lives, as well as the lives of 200,000 Cambodians and 100,000 Laotians. The true figures, however, are probably much higher. These estimates do not include post-war deaths from famine and disease; or the millions killed by regimes like the Khmer Rouge, who came to power largely because of the disruption created by the Vietnam War. Between three million and five million people were also disabled, disfigured or seriously wounded. The victory of communist regimes in Vietnam, Cambodia and Laos triggered one of the largest refugee crises in history. Between two million and three million people are believed to have fled these countries in the aftermath of the Vietnam War. Many of them fled in overcrowded boats, usually converted fishing boats, poorly maintained and unsuited to the open ocean. These boats were manned by fishermen unfamiliar with navigating the open sea and some even left without a specific destination in mind. From 1975 to the early 1980s the world press was filled with horror stories about refugee boats sinking or disintegrating at sea, while thousands of refugees drowned, starved or were murdered by pirates. 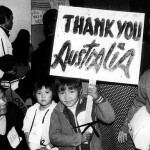 As many as one-quarter of these ‘boat people’ – as they became known – are believed to have perished at sea. The vast exodus of refugees from Indochina led to humanitarian camps being set up in Hong Kong, Thailand, Malaysia and other Asian countries. 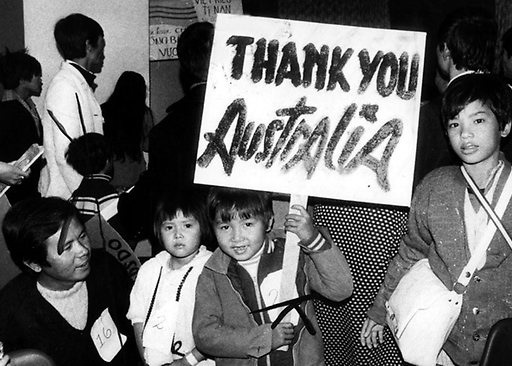 Almost two million refugees were eventually relocated to the US, Australia, Canada, France and other European countries. The physical devastation of the war, coupled with the socialist policies imposed by new regimes, caused years of famine and suffering in south-east Asia. A decade of warfare left Vietnam – particularly its northern provinces – utterly devastated. US Air Force commander Curtis Le May once threatened to “bomb [Vietnam] back to the Stone Age”, a promise that was very nearly delivered. Vietnam’s infrastructure, one of the few positive legacies of French colonialism, was left in ruins. There was little that had not been bombed, blasted or shot up – from roads to railways, buildings to bridges, ports to power stations. Agricultural land was poisoned with defoliant or drenched with napalm or diesel and set alight. 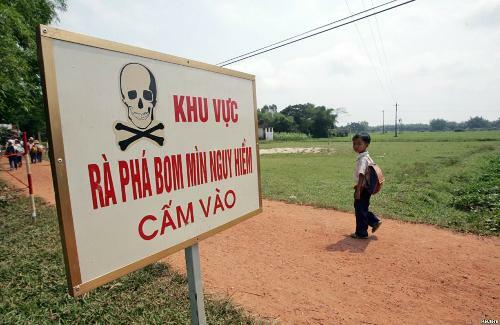 Vietnamese farmers could not return to some areas for years – and when they did, they faced the danger of triggering landmines and unexploded aerial bombs left by departing forces. 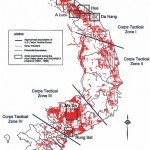 Even today there are an estimated five million pieces of unexploded ordnance still scattered around Vietnam. 1. The economic and human costs of the Vietnam War were devastating. The war claimed between 2.5-4 million lives, the vast majority of them Vietnamese civilians – plus almost 60,000 Americans. 2. The United States’ defeat in Vietnam led to a period of despondency in America. There were debates and recriminations over American involvement and a loss of faith in the US government. 3. Many American Vietnam veterans struggled to readjust to civilian life, suffering from psychological effects, increased risk of suicide and increased rates of cancer, possibly caused by exposure to defoliants. 4. The economic impact of the war was felt in both nations, especially Vietnam, where years of sustained American bombing and defoliation caused inestimable damage to farmland and infrastructure. 5. The rise of communist regimes saw more than two million people flee south-east Asia. This caused a refugee crisis and thousands of deaths at sea, forcing Western nations to accept large numbers of refugees. J. Llewellyn et al, “The costs of the Vietnam War”, Alpha History, accessed [today’s date], https://alphahistory.com/vietnamwar/costs-of-the-vietnam-war/.